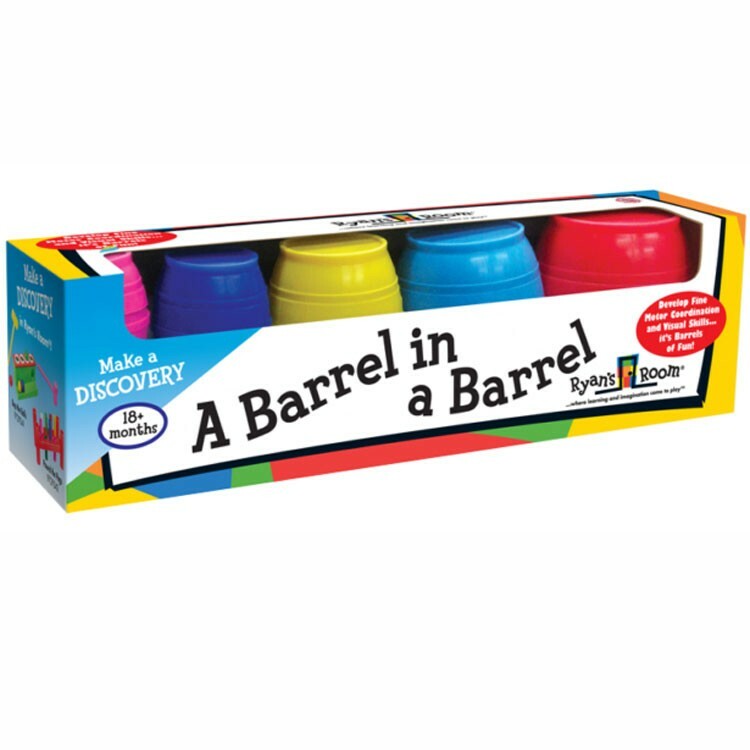 Stack, nest, match, and size these 5 manipulative barrels from Ryan's room Barrel in a Barrel set. 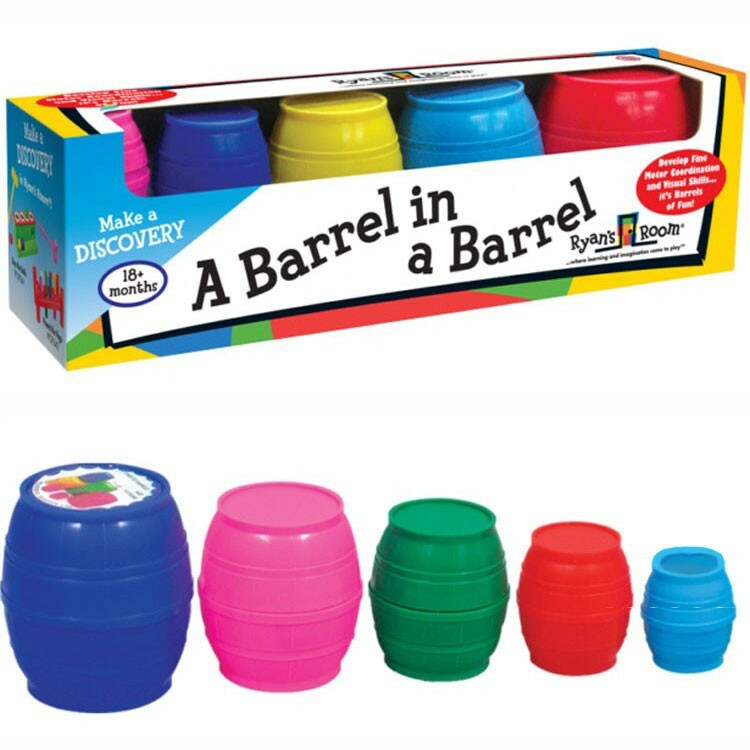 What's in a barrel? Another barrel! 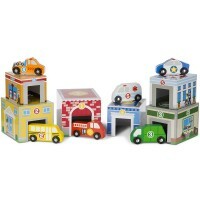 And inside this one? 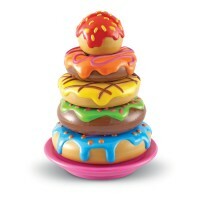 Another barrel again! 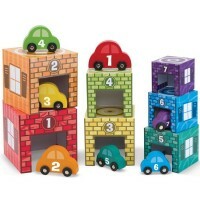 Nesting & Stacking Barrels Manipulative Set brings 5 colorful toy barrels to play and refine motor skills. 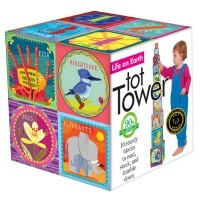 Tots will love nesting the colorful barrels into each other, finding the right sizes, and building a tower of barrels with this manipulative activity set by Ryan's Room. 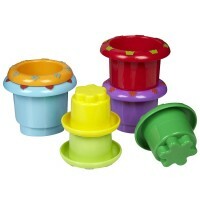 The biggest purple barrel from this Nesting & Stacking Barrels Manipulative Set measures 3.75 inches tall and 2.5 inches in diameter. 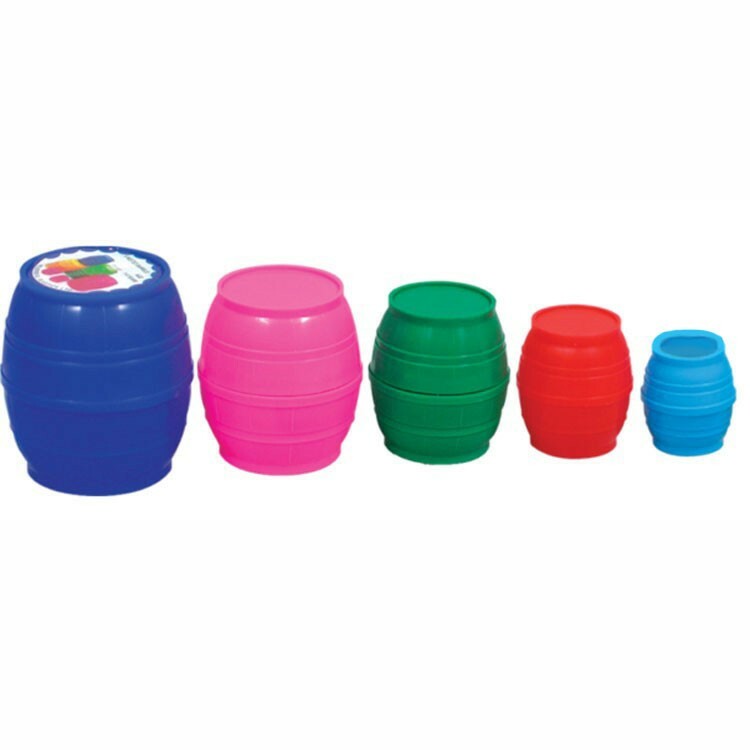 The colors of the barrels can vary. 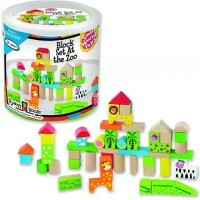 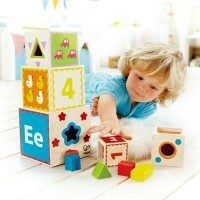 Build and stack, nest and find these manipulative barrels from Educational Toys Planet. 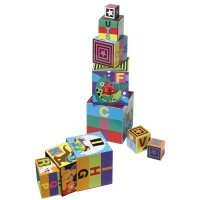 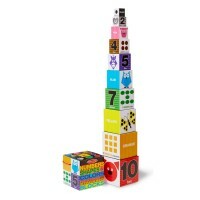 Dimensions of package 3.5" x 13.25" x 3.88"
Write your own review of Nesting & Stacking Barrels Manipulative Set.